Why it’s daunting: In the 1960s, Stax Records blazed the trail for sweaty, funky Southern soul, pioneering an earthy sound that was rougher and more immediate than the glossy productions of Phil Spector or Motown. 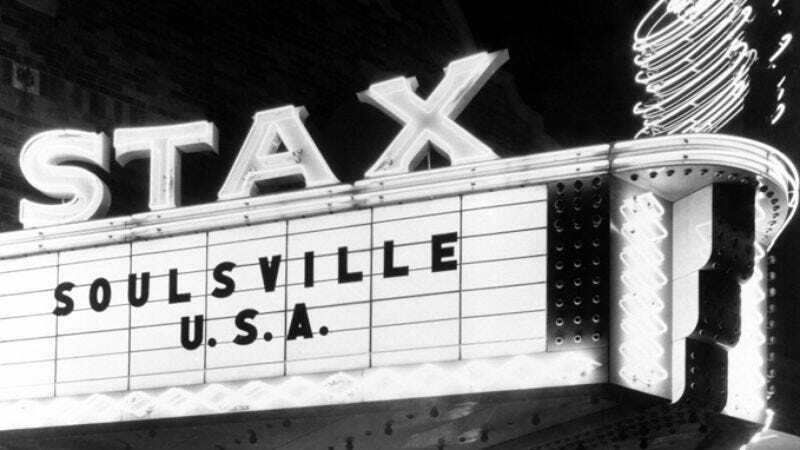 Founded by brother and sister Jim Stewart and Estelle Axton, whose last names combined to give the label its name, Stax—and Volt, its subsidiary imprint—both produced voluminous, sprawling outputs, and once you get past the major players, you’re likely to confront a sea of unfamiliar names. Soul aficionados prize Stax’s raw, potent sound, but guessing where to start is like trying to eat barbecue without getting your hands dirty. Booker T. & The M.G.’s McLemore Avenue is one of the great treasures buried in Stax’s voluminous catalogue. The cover, with the four M.G.’s crossing the street in front of the Stax studio, is an explicit nod to The Beatles’ Abbey Road, which McLemore Avenue covers almost in its entirety. Rather than just running through the album, Booker T. Jones rearranged the songs into three medleys, the longest stretching more than a quarter of an hour. It was a fiercely ambitious move for a label built on the principle that no song should run longer than three minutes, and selling the idea to his bandmates wasn’t easy for Jones, who in addition to being Stax’s resident Beatles fan, had been taking days away from cutting hits to get a degree in music composition. But the strain doesn’t show, and the scope of McLemore Avenue reveals how much further the label could have gone had the tragedy of Martin Luther King’s assassination—which took place at a motel where the studio’s staff frequently adjourned for meetings—destroyed the utopian atmosphere. Where not to start: The 1000 Volts Of Stax series (2000 Volts, 3000 Volts, etc.) is, by design, for collectors only. And while the label’s later years have their proponents, they don’t measure up to the initial burst of inspiration. The Wattstax festival, memorialized in a concert film and three-CD soundtrack, is as much a tribute to the label’s steadily inflating sense of self as an attempt to inspire the black community of Los Angeles’ blighted Watts neighborhood. There’s gold in Stax’s later years, but you have to sift through more dust to find it.